Today, 795 million people are suffering from hunger, and more than 2 billion people do not get the nutrition they need to thrive. About 161 million children every year are stunted or permanently disadvantaged for life, simply from a lack of adequate nutrition. Last month, world leaders adopted 17 Global Goals to build a world where no child goes to bed hungry, where girls have the same opportunity as boys to thrive, and where no one dies of preventable diseases. In particular, the second Global Goal—Zero Hunger—is focused on ending hunger and malnutrition by 2030. October 16 is World Food Day—the first chance since the adoption of the Global Goals to really hold world leaders to account to meet the goal of zero hunger. The world is watching to make sure these are not just empty promises! This is a moment to highlight why prioritizing agriculture, food security and nutrition is the key to ending extreme poverty once and for all. To reach zero hunger by 2030, governments and development partners must make massive and innovative increases in financing for agricultural development and nutrition. We know this money has far-reaching effects: Investments in agriculture are 11 times more effective at reducing poverty in sub-Saharan Africa than investments in any other sector, and every $1 spent on nutrition returns $16. 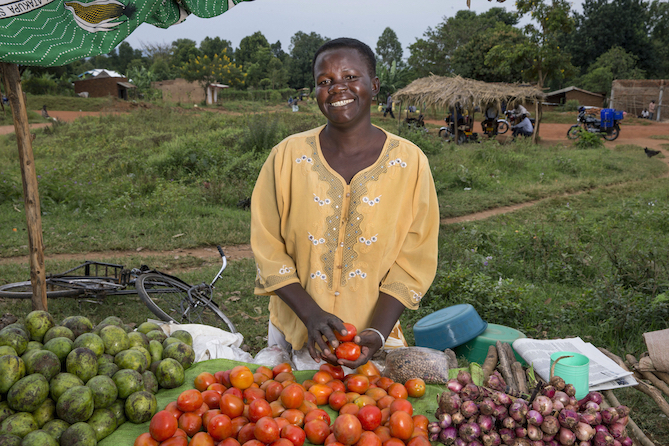 Investments must focus on small-scale food producers, especially women and especially in the poorest countries, on World Food Day and beyond. Global leaders have the power to shape our world for decades to come by prioritizing ending hunger and transforming lives for generations to come! ONE is calling on world leaders to put food security and nutrition at the top of the global agenda with increased investments and a strong accountability framework that will help global citizens track commitments and make the Global Goal of achieving zero hunger by 2030 become a reality. THIS is why the #GlobalGoals are so important. Raise your voice and take action TODAY.